Two bills introduced this year would undo the consumer protection changes that were made more than a quarter-century ago after two Public Service Commissioners were convicted of extorting money from companies they regulated. Read more regarding this in today’s Clarion Ledger. Those changes included the creation of a professional staff, called the Public Utilities Staff, that is independent of the Public Service Commission. It is tasked with conducting investigations and analyzing information presented by public utilities. It is intended to ensure that the elected commissioners have objective information on which to base their decisions. It also ensures that the commissioners are not the only ones looking at the utility-provided information. Senate Bill 2838 and House Bill 1179 would place the Public Utilities Staff under the Commissioners. SB 2838 would also increase the number of Public Service Commissioners from three to five, with one elected from each congressional district and one appointed by the governor. Currently, the three commissioners are elected from each of the three state Supreme Court districts. Another approach to enhancing consumer protection is found in two other bills awaiting committee action. HB 1108 and SB 2562 would create an office of Residential and Small Business Advocate. These bills would allow the PSC to serve in its quasi-judicial role by hearing from the utilities, as they do now, and from an advocate for ratepayers. The Public Utilities Staff cannot serve that role adequately, as they are charged with balancing the interests of utilities, ratepayers, and the state as a whole. 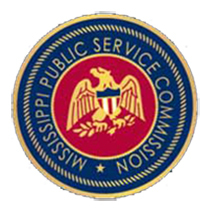 While there is no guarantee that the Kemper County power plant debacle would have been totally averted if a consumer advocate had been in place as the project progressed, it is likely that having such a person with access to all the filings from Mississippi Power would have required the PSC to more carefully consider the claims of the company and the impact of their plans on residential and small business consumers.